The Congress, while questioning the Gujarat model, has not countered the narrative of communal polarisation in the state. Gujarat has moved on from “Maut ka Saudaagar” of 2007 to “Aurangzeb” of 2017. Only Bollywood, perhaps, could compete with such dramatic references, but then movie scripts can’t cast the “shahenshah” of Indian politics, only a real-life Gujarat election can. When Sonia Gandhi used “Maut Ka Saudaagar” as a description of Narendra Modi’s government and the BJP in the 2007 assembly poll campaign, it was in the aftermath of fake-encounter killings in Gujarat, and was considered a bad electoral move in a communally-polarised state. It remains as polarised a decade later, and hence Modi likens Rahul Gandhi’s expected elevation as Congress president to the Mughal emperor Aurangzeb being throned king, or refers to Kashmir and Afzal Guru in his campaign speeches. The real story, though, is Gujarat and Gujaratis have been reduced to one personality and a stereotype. They might have made Narendra Modi, but they are certainly more than just one leader. They are as complex as any Indian state or people. The moment Gujarat is declared a Hindutva state, it is being seen through the Modi prism, as if nothing else matters. Communal polarisation is the crux of the narrative he has created, one that works only to his advantage. The way to challenge that theme is to create a different narrative, one in which Modi is not the central figure and where the polarisation is reversed by a strong alternative face. Sadly, that is not the script his opponents have offered the electorate. The Congress, while questioning the Gujarat model, has cautiously projected Rahul as a Hindu. He has visited all major temples in the state and his party even told the electorate that he is a “janeu dhaari Brahmin”. This is apart from endorsing strong casteist voices. Questioning the economics of the Modi model has been a broad campaign theme, but caste and religion are also prominent in the Congress narrative. It is only after the end of the first phase that one junior leader from the party suddenly demanded an apology from the prime minister for the 2002 riots, that too during a TV debate. Rahul himself steered clear of any reference to issues of secularism. This is because of a belief that in Gujarat the projection of secularism is unneccessary and perhaps counter-productive and that the minorities have no choice but the Congress. But can a truly secular narrative not challenge Modi in Gujarat? Ideological battles are not fought for mere electoral victory, which is a byproduct of a larger battle. Portraying this as a secular versus communal battle at the national level and attempting to be covertly communal in Gujarat is not just manipulative, but shows a lack of imagination. The Gujarat electorate had abandoned the Congress because the party failed, not because Modi succeeded. The Congress had failed them as an opposition over the last three elections by not putting up a solid fight and being a strong opposition. It even refused to believe it could win in the state. It failed them even before Modi arrived on the scene. Infighting and poor leadership in the Congress led to its fall in the early 1990s and Modi was a beneficiary of the BJP’s rise in Gujarat and not the architect of it. His party became a ruling force in the state almost a decade before he became chief minister. The Patels, for instance, moved from the Congress in the early 1980s towards the erstwhile Janata movement and later the BJP. Their fissure from the party catalysed in 1982, post the implementation of reservation for OBCs. Since then, little was done to win them back and the Congress moved towards OBC consolidation. The tribal vote, once a Congress bastion, was fiercely fought for by Sangh parivar outfits since the 1990s, especially in central Gujarat which was a Congress bastion till the 2002 riots. And Modi’s firebrand Hindutva broke through Congress strongholds in central Gujarat and among other backward castes. Caste vote bases are built over decades, not just in election season. The Congress’s inability to find a strong face within is what led to an overt show of solidarity with young caste leaders like Hardik Patel, Jignesh Mewani and Alpesh Thakor. 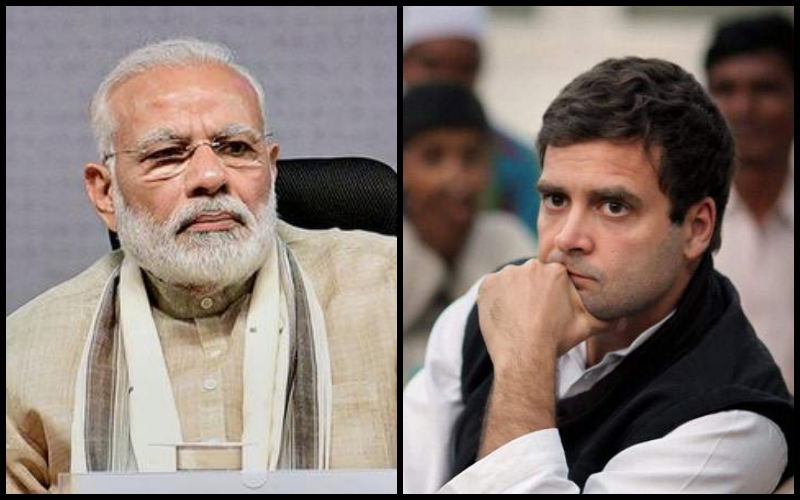 These three, who represent castes which are in serious conflict with one another, have dominated the Congress narrative that was built around Rahul and not a strong local Congress leader. Given the perception that Modi is remote-controlling Gujarat from New Delhi, this may have been an ideal election for the Congress to project a chief ministerial face and a strong tangible solution to the discontent in Gujarat. But by pitching it as a Rahul Gandhi vs Narendra Modi battle, the priority seems to be to establish Gandhi as the challenger at the national level, not to give a local alternative to Modi’s claim of being the symbol of Gujarati pride. Assembly elections are about choosing a state government and a chief minister, but that question doesn’t seem to matter in this one. Gujarat itself seems stuck between two national faces, even manifestos and local issues are buried in the rhetoric. One observer even asked, “Why not have Rahul Gandhi contest from the state and be the chief ministerial candidate?” It may seem an obnoxious suggestion, but it emphasises one point. ‘Vikas gando thayu che‘ is fine as a campaign slogan against the BJP, but who will bring genuine ‘vikas’? The electorate needs to know if it is to vote over the deafening rhetoric of Modi and the BJP. That is the missing element for the Congress – a solution to the problem it has stated. This is certainly the first solid fight from the Congress to Modi in Gujarat. Rahul has been taken seriously and has proved a challenger. The image that it’s not possible to challenge the BJP in Gujarat or Modi’s politics has been dented. But that seems to be the end of the story, not a change in the Gujarat narrative and least of all, certainly not a victory of secular thought over a communal polity. T.M. Veeraraghav is a independent journalist.